A baby monitor helps parents feel at ease on supervising the baby. 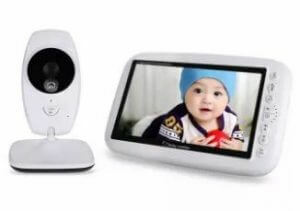 Also called monitoring camera and network camera, it is an item that supports childcare, but do you know what kind of baby monitors are good to use? There are a lot of products coming from China, Europe, and the US that are popular in the Philippines. Most of these are not from famous international brands; but Filipinos consider practicality, functions, and quality over its brand name. Recently, there are baby monitors where you can check real-time and recorded images through a smartphone application which is beneficial for smartphone users. In order to find something that suits yourself and your family from a number of items, I would like to introduce popular baby monitors in ranking format by comparing their specs and reviews. Please find the best product for your cute baby! Since baby monitors have various functions depending on the product, it is quite a difficult task to choose which function is required. 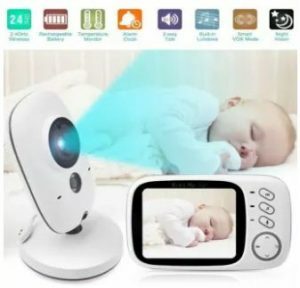 The higher the function, the higher the price, so it would be great if you could choose a baby monitor equipped with only the functions necessary for your house if possible. From here I would like to introduce some guidelines to see when buying a baby monitor. 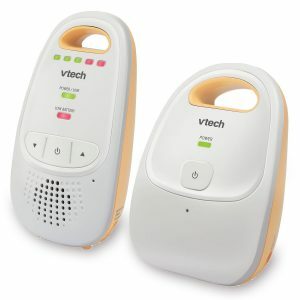 There are baby monitors that are exclusively for audio only, and there are ones which will show images. The good thing about a baby monitor with audio only is its low cost. If this suits your taste, be sure to look for sound-only monitors. However, when the baby begins to move on its own, there is a possibility that safety cannot be confirmed by sound alone. Considering the future, it is recommended to have a camera that confirms safety even after baby starts to move more. Would You Like The Baby to Hear Your Voice, and Vice-versa? There are two types of baby monitors, 1 way type where only the baby’s voice reaches the mother; then there is 2 way type where the baby’s voice reaches the mother and vice-versa. Normally, it is more convenient to choose the 2 way type compared to 1 way if you want to stay connected with your baby even if she is far away. It can serve as a transceiver even after your baby gets bigger and speaks words. However, there is also a disadvantage to the 2 way type. It means that there is a possibility that noise will be delivered when the baby is sleeping every time the voice function is kept on. If that is the case, find one that you can switch the audio on and off when needed. For those who can go to the baby immediately, 1 way type would work just as fine. Just be sure to look at product reviews before purchasing so you will find one that suits you and your baby’s environment. Even the camera has different functions. It can be either fixed or mobile. Also, there are differences between mobile cameras whether it can be operated manually or remotely. There is no problem with a fixed camera if the baby does not start crawling yet, but once they start moving more, there is a possibility that the baby will move to a blind spot in case of a fixed or manual operating camera. If you want a monitor you can use even after the baby starts crawling, it is better to choose a model with a movable camera that is operated through a remote. In addition, there are also models equipped with night vision. If you are planning to monitor the situation in the dark room, you may choose a model with night vision capability. There are 2 types of baby monitor, analog type and digital type. Recently, the digital type with high safety mechanism has been mainstream, so most monitors are digital, but analog monitors are still on the market. When you are going to buy a digital type, make it certain before purchasing. Digital monitors can be divided into 2 types. 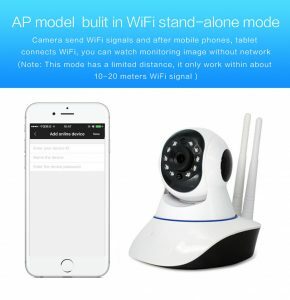 One type connects the camera and your smartphone through the internet, the second type comes in a set of monitor and camera and connects directly via 2.4GHz radio wave. If you want to monitor your baby in a remote place like your office, the former type is recommended because you can monitor it wherever you want with an internet connection. However, you cannot use it unless you have an environment with a fair Internet connection in your house, so you need to be careful. The good thing about a baby monitor without having to use an Internet connection is the security away from hackers and a disadvantage is that radio waves will not reach unless it is used nearby. Also, it is easier to connect compared to the Internet type. However, it may interfere with the frequencies of devices handling other radio waves and home appliances. In conclusion, if you have a fair Internet connection and you want to check the monitor even on the go, choose Internet connection type. 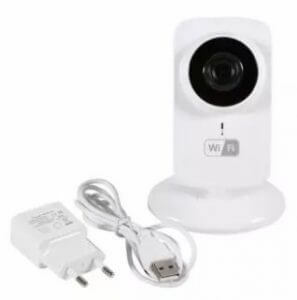 If you want to stick to a good old digital device where you feel safe and secured, it is recommended to choose the type that connects via Wi-Fi of the baby monitor. Baby monitors can have batteries and some without a battery. Those that do not have a battery need a receptacle where the cords can reach, so it can be difficult to find places to put them. Although some people would find that there is no problem in using extension cords, many babies show interest in extension cords when they start moving. Extension cords can be dangerous to children, so we recommend that you do not use them if possible. Even if there is no outlet in the right place, you can use it without problems if rechargeable. Moreover, it can be used even if the environment changes, such as when you have a vacation elsewhere or visit your family. In addition, there are models equipped with various additional functions. For example, there are auto tracking function and temperature setting alarm. The auto tracking function is a function that automatically chases a baby, it is a function that prevents a baby from entering a blind spot. Also, the baby is not good at adjusting with temperature, so it is safe to have a temperature setting alarm. There are things with features that sing lullabies and others with timer function. In addition, there are things with image recording function for crime prevention measures. Additional functions vary depending on the model. Of course, while suppressing basic functions, if you have plenty of budgets, you may choose something with extra features. After reading our guidelines, do you have an image of your perfect baby monitor yet? From here I would like to introduce our recommended baby monitors in ranking format. Please take into consideration your desired function, accessibility, possible internet connection, and many more. 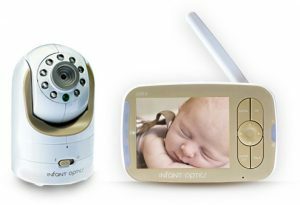 Many baby monitors on the market have a function of motion detection, but this camera allows your baby to be more secured. Once it detects a motion of an object, it automatically starts to record and send you a notification that allows you to monitor it in real time. We recommend setting it facing a window or a door. It has a resolution of 720P, which is not the best but reasonably good considering its price. Highly recommended those who strongly pay attention to the security of their baby. This baby monitor is super easy to use. Just plug in and hook the camera and monitor, then you are ready! The buttons on the remote shows symbols that are easy to understand which function it serves. Due to its narrow screen, watching the baby through this can be difficult at times. However, many users buzz about its clear image view during day and night. If you are not used to using an electronic device and don’t want a complex setting, this might be the best product for you. The great thing about this monitor is unlike in analog baby monitors, it promises to eliminate unwanted white noise and deliver only crystal clear sounds from your baby. Plus it sends a beep whenever the link between the parent unit and baby unit is lost. This is helpful to make sure the baby unit stays in the right place for baby’s safety. You can also clip it to your belt or your bag to bring it anywhere and it won’t be lost. Since baby monitors are a small device, it is easy to lose. If you often forget where you put your phone or TV remote control, we recommend this baby monitor to prevent the same tragedy. Another fantastic audio baby monitor that is very lightweight with a sleek and modern design which makes it portable to carry around. Due to a smaller size than most baby monitors, this can fit in your pocket. This is convenient for people who do not like to carry around heavier devices such as big digital tablets. 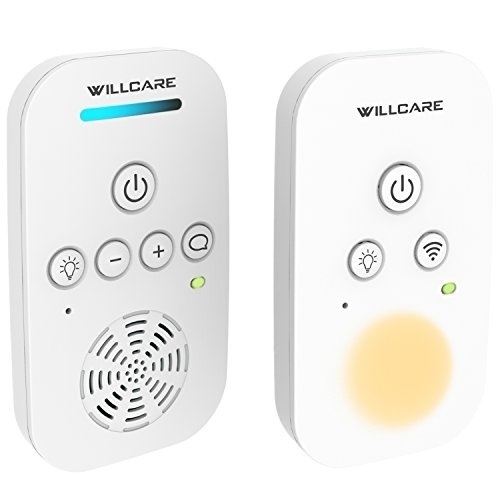 It reaches a pretty good distance range of 1000ft outdoors and 160ft indoors, which is enough for use at home and around your house. Enjoy its noise reduction microphone which brings crisp and clear sounds on both units. Users praise its ability to catch only their babies’ voice without noise. It is recommended for those who live in a big city with plenty of noise, like Manila. Easily notice baby’s crying and any type of noise with this unique baby monitor. Because it perfectly detects your baby’s crying sounds amidst any other possible noises in the room, you can monitor your baby at ease. This is an awesome feature for parents who get anxious very easily whether their baby is crying or not. While most other baby monitors can be placed only on a flat table or floor, the flexible tail enables it to be attached to wall brackets and baby cribs. It also bends into different positions. If there is no flat table around the baby crib in your baby room, it is highly recommended for you. Busy parents tend to overlook a lot of important things in their baby’s nursery, and a baby monitor’s battery life can be one of them. This baby monitor has an alarm function that sends off low battery warnings. This is a great help in making sure this device will not cut off in the middle of watching the baby. In addition, lullabies help babies get comfortable and sound sleep. Users seem to love how this baby monitor has this great function with 8 lullabies in it! This is perfect for parents who have a difficulty putting their babies to sleep. Being able to save recorded images and watch videos in real-time through any digital platforms by installing a 64GB microSD in this baby monitor is very helpful for those who love to keep track of their baby’s development. You can mount this baby monitor to your wall and ceiling, with its 360-degree panoramic view. By mounting it on the wall, you can have a much better and wider view of the room. A 960P HD viewing experience makes this camera a steal! Although the body may be a bit flimsy, if you are looking for an affordable and incredibly useful baby monitor, then this one is for you. Some baby monitors tend to have narrow screens which are why images are hard to watch. With this monitor, that won’t be a problem. Enjoy beautiful clear viewing with its 7.0-inch widescreen that could help those with weak eyesight, for example, the baby’s grandparents. All functions can be easily controlled using the monitor with just a push of a button. One last surprise is the night light at the back of the camera with moon and stars design. Monitoring the baby can now be fun and exciting! This baby monitor has a lot of remarkable specs at a very affordable price. Be able to control the angle of camera anytime anywhere through smartphones and mount the camera on the wall for a panoramic view as well. In addition, this device sends off alarms every time motion is detected. This is an awesome feature to make sure the baby is always supervised. Stay tuned with special loved ones with this budget-friendly baby monitor! This digital baby monitor with a sleek design is said to be the first-ever baby monitor that comes with an interchangeable optical lens which enables the user to zoom in and out, as well as customize viewing angles with no hassle. 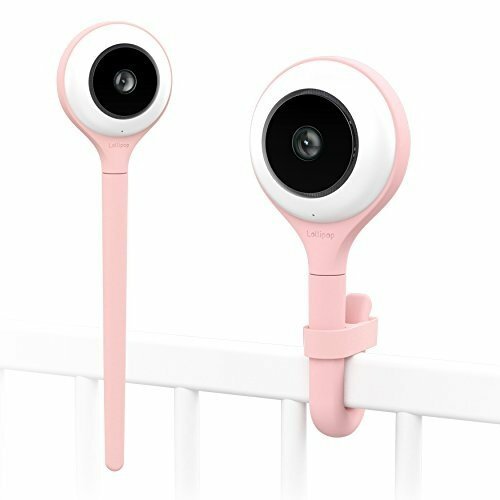 Much like a professional camera system, this technology promises to have the best performance in monitoring the baby by letting the user choose the desired focal length and viewing angle suitable for one’s environment. Although this is the most expensive out of all baby monitors in this list, the quality is definitely A1. How were our guidelines and ranking, was it helpful? 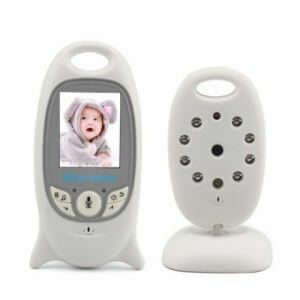 A baby monitor is a very useful machine to keep our eye on our babies with convenience. Having a feature where you can monitor your baby through smartphones is great as you can access it anywhere you go. It can also help in watching over pets and for crime preventive measures. Necessary and useful functions may differ depending on your living environment. By all means, please find a baby monitor that suits you and your family!